Searcy (October 25, 2015) — A little over a year ago, Ritter Communications completed a fiber-optic network in Searcy making it a “Gig City” and began offering advanced communications services to local businesses here. Fast forward one year, and the company has added a new office location. The new office is conveniently located in the Colonnade Shopping Center at 1560 W Beebe Capps Exp, #B. The Beebe Capps location will operate as an appointment-only office in which customers can receive consultations about their business communications needs, and have access to training and educational opportunities when it comes to equipment, networks, phones or other physical devices and services. Ritter serves Searcy’s main business corridors with available speeds of up to 10 Gigs (10 gigabits per second) for local companies, organizations and institutions thanks to a new fiber-optic network. This network, which was implemented last year, has put Searcy on a very short list of potential industrial sites in the region with 10 gig availability. The company offers Searcy businesses the kind of advanced business services typically found only in large metropolitan areas. The huge boost in broadband has provided business customers with a new level of performance options for their high speed Internet, voice services, custom networking, hosted services and customized hardware solutions. Ritter Communications is a regional telecommunications provider serving 59 communities and more than 45,000 customers in northeast and north central Arkansas and west Tennessee with a full suite of communications services. 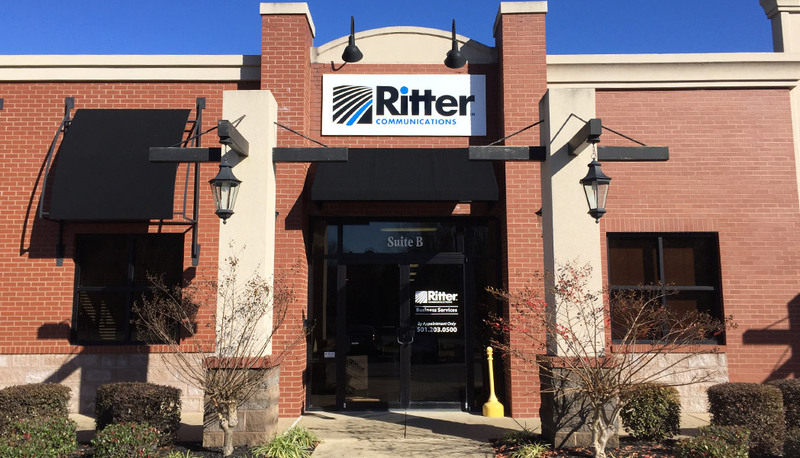 Headquartered in Jonesboro, Arkansas, Ritter continues to expand its services including local and long distance phone service, high speed Internet, broadband Internet, Managed Voice, data center services, Ethernet connectivity, customized networking and hosted applications. Ritter invests heavily in the communities it serves by deploying proven, best in class infrastructure and technology while pairing it with a world class customer focused experience. To learn more, call 501.203.0500 or facebook.com/rittercommunications for more information.